Every year I try to find an easy craft to make and give as presents. When I saw this awhile ago on the blog Just a Girl ( February 2013), I knew it was something I could do for Christmas. You can click on this link and see a great tutorial with great pictures and step by step instructions. 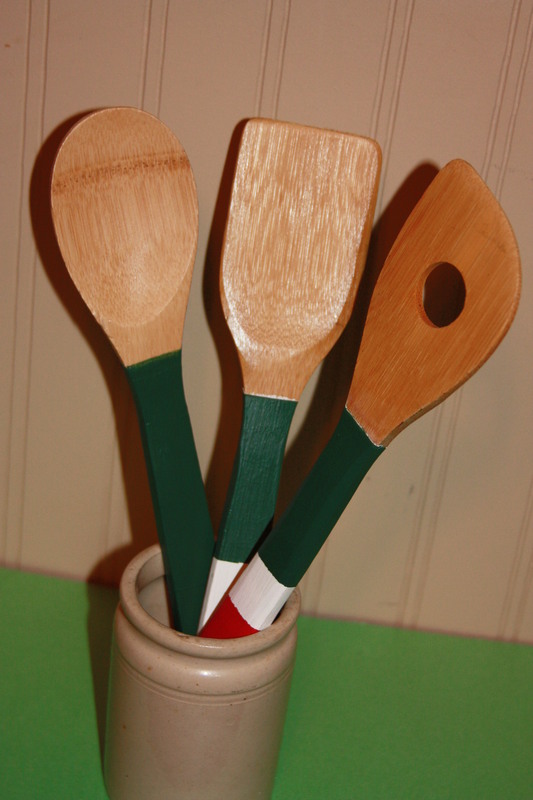 I found my spoons at Winners 5 for $4.99 – it did take me a little longer than I thought it would to paint them but I liked them enough that I made some for myself…. 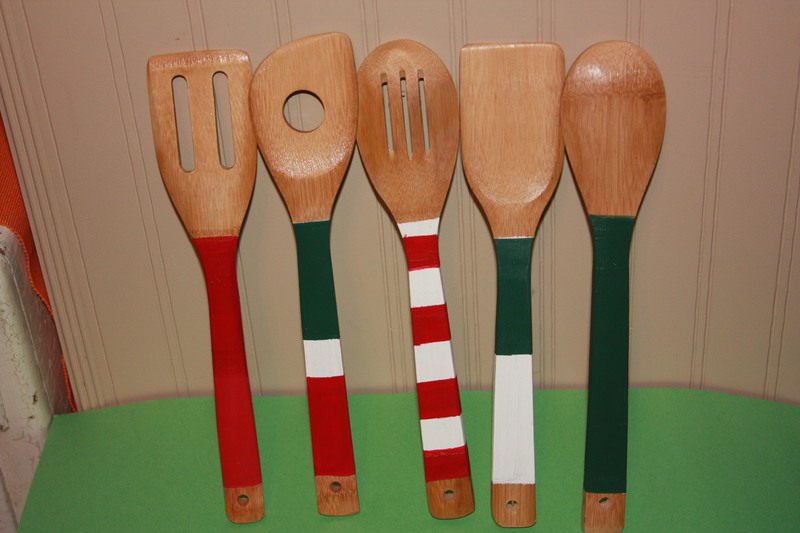 This entry was posted in Decorate, DIY and tagged Christmas, Crafts, Decorate, DIY, easy, gift, paint, spoon, stripe, wood. Bookmark the permalink. Pingback: Paint, Thread and Tape | You Can Always Start Now! Did you give them out as a set? or individually? Love them they are on my list for next year.